How to use comments to gather feedback? 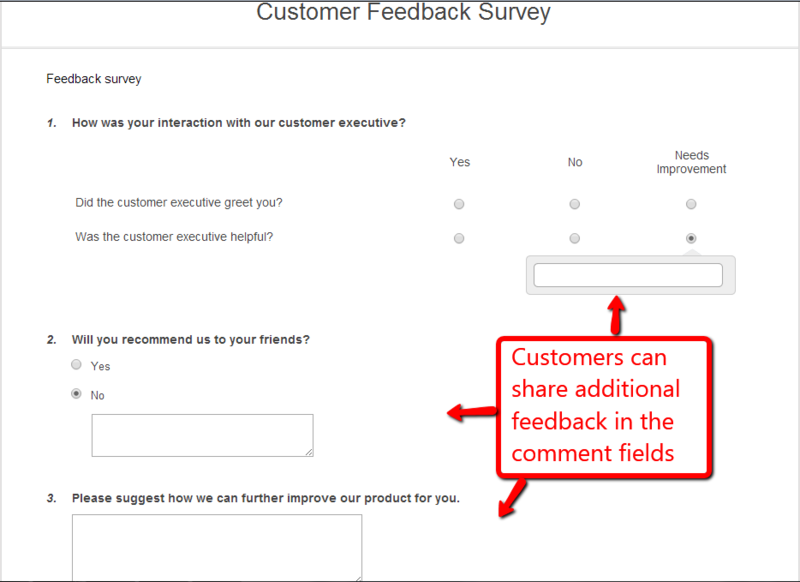 While creating a survey, you can accept comments and feedback from your customers. By gathering additional feedback from your customers, you can gain better insights into your customers' needs, motivations and choices. Learn more about the benefits of survey comments. The image below shows you a survey with the above three question types. 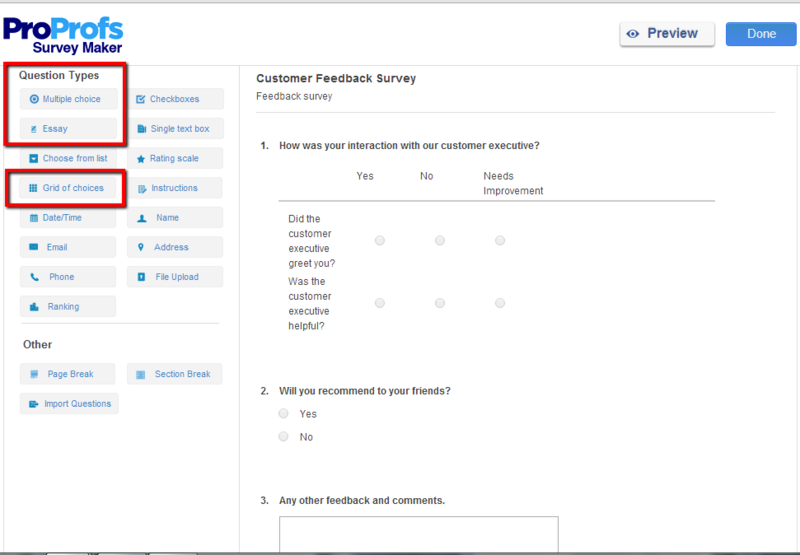 You can use one or all three of the above question types to you survey and effectively gather feedback from your customers. Step 1. If you are creating a new survey then, click on "Create a Survey" or else click on "Edit Survey" to edit an existing survey. Step 2. Click or drag and drop the menu you want: "Multiple choice, "Grid of choices" or "Essay". Step 3. Add the comment fields. The example below shows you the multiple choice question type. 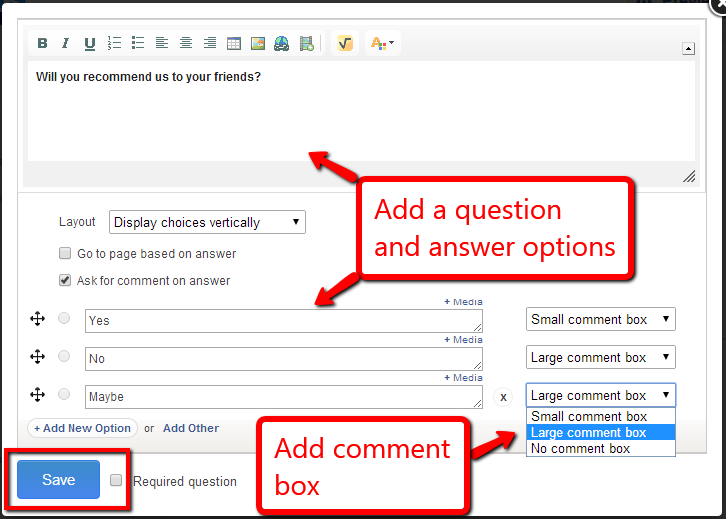 Similarly, you can add comment fields in other question types mention above. Click on "Save" once you're done.